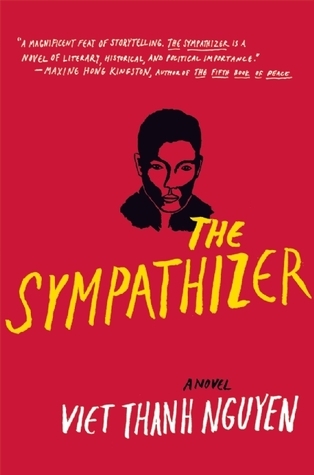 The Sympathizer by Viet Thanh Nguyen is a Pulitzer Prize winning historical fiction book taking place in 197, Viet Nam of a man who, after finishing college in the US, goes back to Vietnam to fight the communists. This is Mr. Nguyen first novel and it won a Pulitzer, where do you go from here? I was very divided on The Sympathizer by Viet Thanh Nguyen, half the book was very interesting, the other half bored me to death and I couldn’t wait to finish it already. Luckily, the whole book is very lyrical and well written. I enjoyed reading about the struggles of a Vietnamese immigrant who has to find himself in a new country, battling Hollywood stereotypes. When he goes back to Viet Nam, however, the plot slows down to a snail’s pace. I also didn’t find the ending quite as promising as the first half of the book. In all fairness, I’m not a fan of first person narratives and/or stream of consciousness books. I certainly appreciate the artistry and efforts behind them, but I have yet to find one that grabs me from beginning to end. Even though the novel develops slowly, I felt the author took his time to make sure the readers understand why. The protagonist is put in impossible situations over and over again, being asked to make horrible decisions. I was really looking forward to reading this book, one full of questionable ethics and difficult decisions and split loyalties. The writing saved this book for, but I did not feel anything for any of the characters involved. A Vietnamese Captain, an aid to a Vietnamese General, is given passage to one of the last flights to Los Angeles in 1975. The Captain has split loyalties though and is still in touch with the Viet Cong reporting on the VIPs which are starting a new life.